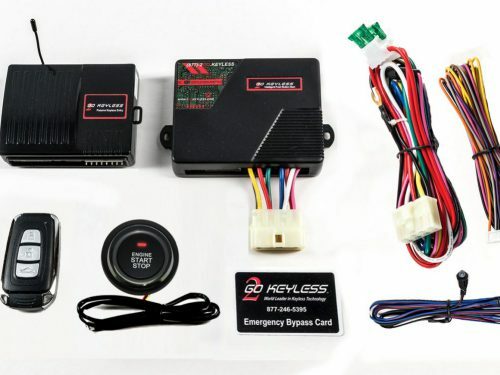 2Go Keyless Intelligent Push Button Start systems use RFID Technology (Radio Frequency IDentification), to completely eliminate your ignition switch and provide secure operation of your vehicle with just the push of a button. NO MORE KEYS! With a full line up of Automotive Keyless technology products ranging from RFID Keyless Ignitions to complete Keyless Go systems like found on the world’s finest luxury automobiles, The 2Go Keyless product line has everything you will need to add complete “Hands Free” Keyless convenience to whatever you drive. Simply carry a 2Go Keyless digital RFID TAG with you. When you come into proximity of your vehicle, 2Go Keyless will verify your identity, unlock your doors, disarm its security system and authorize your ignition. Then with just the push of a button your engine roars to life! When you arrive at your destination, another push turns off your engine and you can just walk away.